Traffic control for Colorado is at the heart of Rocky Mountain Signing Company’s full range of construction services. Here at our traffic control company in Colorado, we have state-certified traffic control experts who can professionally design traffic control plans tailored to your project's needs. We are one of the top traffic control companies and our staff includes State of Colorado-certified flaggers, Colorado Contractors Association or ATSSA Certified Supervisors, and other traffic control specialists. 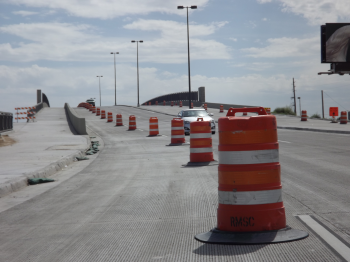 From the simplistic to the highly complex, our work zone traffic control in Colorado services professionals can develop plans to reroute traffic around your construction project, while keeping workers and the public as safe as possible. Our experts not only promote safety - they live it in every aspect of the project. We offer detailed plans for detours, lane closures, and work zone closures to move traffic safely through while protecting those working on the project. 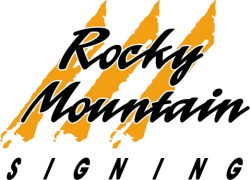 Because we own all our own traffic control equipment, Rocky Mountain Signing Company is one of the most trusted work zone traffic control companies and can guarantee its performance as one of the top traffic control companies in Colorado. Our equipment is well maintained, continually updated, and is replaced immediately if something should go wrong. We have full-time mechanics and fabricators on staff to ensure that our equipment is in the best possible condition for you at all times. We pride ourselves on top notch traffic control services in Colorado and as one of the best work zone traffic control companies in Colorado.